Give your next workout everything you've got with the comfortable ASICS training crew socks. 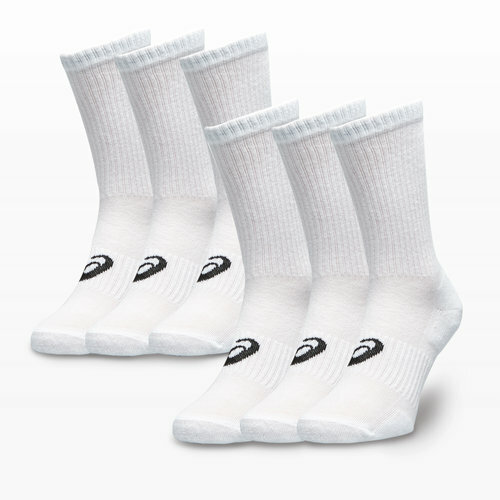 Equipped with moisture managing properties that quickly absorb sweat from your feet, you'll be sure to stay dry and comfortable in these natural feel workout socks, no matter the intensity of your fitness routine. The ergonomic fit and cushioned panels around the sock offer shock absorption and a soft landing during high intensity workouts while the built-in arch support adds structure and comfort. The crew height hugs your ankle and finishes off your sports look.